XML instances are not necessarily self-contained but may have links to remote XML data residing on other servers. Links between (autonomous) XML instances can be expressed by the XLink language; although, querying such interlinked sources is not yet actually supported. We describe a model of such linked XML instances where the links are not seen as explicit links (where the users must be aware of the links and traverse them explicitly in their queries), but where the links define views that combine into a logical, transparent (XML) model that then can be queried by XPath/XQuery. We motivate the underlying modeling and give a concise and declarative specification as an XML-to-XML mapping. 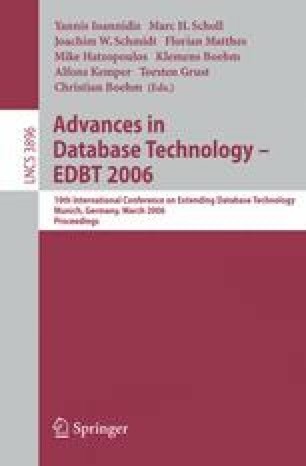 We also describe the implementation of the model as an extension of the eXist [exi] XML database system and point out some perspectives and combinations with related research aspects.